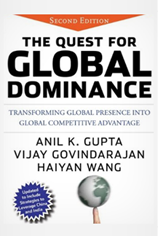 Anil Gupta and Haiyan Wang ranked #28 in the 2017 Thinkers50 rankings of the "world's most influential management thinkers"
Springboards for the emergence of new fearsome global competitors from within. 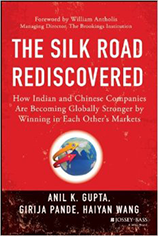 Organizations that want to build effective strategies for China and India must address each of these realities head on just as GE, Yum Brands, Adidas, Nokia, IBM, Accenture, Microsoft, Cisco and many other pioneering companies the authors describe have done. Shedding light on the brutal competition for today's markets and resources in China and India, this game-changing book lays out a strategic action plan for organizations that want to emerge as global leaders in tomorrow’s marketplace. "Solid research…compelling and provocative…required reading for any CEO." "Well researched…crisp…an insightful guide to…succeed in the new era." "Timely, comprehensive, insightful, and richly documented… a superb guide..."
"No global CEO can afford not to read this timely and insightful book... Compelling... and valuable..."
"Incisive and well researched... in-depth analysis... richly supported..."
"The best source of insight available for executives... A real tour de force"
"Insightful, compelling, forward-looking, and practical…one of the most important books…"
"Compelling and provocative, required reading for any CEO.”"
"A blueprint on how to... best approach the two economies for the long term." - Ratan N. Tata, Chairman Emeritus, Tata Sons Ltd.
"Forceful…practical advice…illuminating anecdotes and evidence…compelling read…"
"Outstanding... highly readable, full of facts and analysis, and inspirational"
"Very timely... extremely well researched... highly readable and very practical." "Very helpful... insights must reading for any multinational firm CEO." What Is A Global Company? 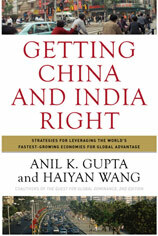 Sign up for the latest thinking from China India Institute experts.